The Dow Jones Industrial Average’s recent “flash crash,” in which it plunged by nearly 1,600 points, revealed just how addicted to expansionary monetary policy financial markets and economic actors have become. Prolonged low interest rates and quantitative easing have created incentives for investors to take inadequately priced risks. The longer those policies are maintained, the bigger the threat to global financial stability. Other advanced-economy central banks, still stuck in extreme crisis mode, are doing even worse. 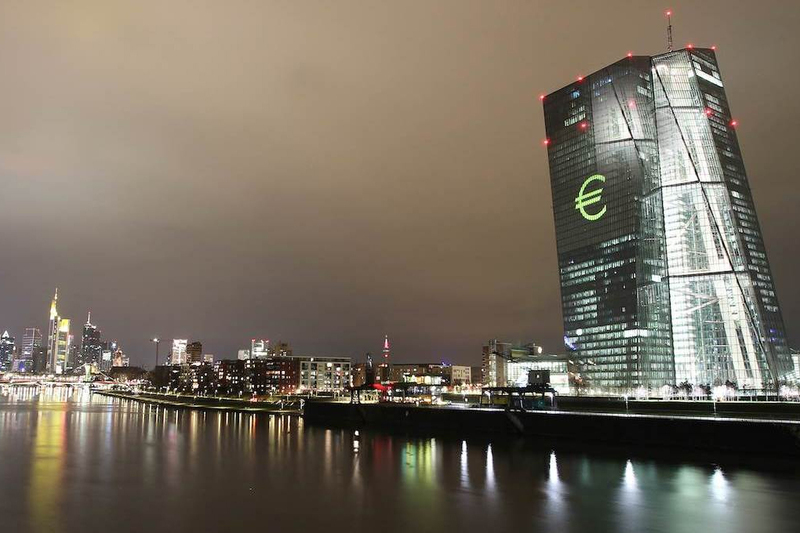 Neither the Bank of Japan nor the European Central Bank has provided any indication that it is set to tighten monetary policy, even though economic conditions today are totally different from those that prevailed during the crisis and subsequent double-dip recession in the eurozone. The ECB, in particular, defends its low-interest-rate policy by citing perceived deflationary risks or below-target inflation. But the truth is that the risk of a “bad” deflation – that is, a self-reinforcing downward spiral in prices, wages, and economic performance – has never existed for the eurozone as a whole. It has been obvious since 2014 that the sharp reduction in inflation was linked to the decline in the prices of energy and raw materials. Jürgen Stark is a former member of the ECB’s Executive Board and a former deputy governor of the Deutsche Bundesbank. Copyright: Project Syndicate, 2018, published here with permission. Tell it like it is Jurgen! Low interest rates are a politician's and central banker's dream. Not only good for growth but cuts down on government interest bills as well. Millions of satisfied mortgage borrowers and sainthood given by investors, and on top of that chances are they will work wonders for the exchange rate. It is so easy to see why central bankers are addicted to them. They will keep working until the day they don't, and I'm not looking forward to when that happens. a) CBs like to appear as "kill joys" and always tend to keep OCR's higher than sane. b) low interest rates are a symptom of an economy in the doldrums (at best). Certainly when you look at the un-employment in the south of the EU with little sign of recovery (ie growth) thinking about raising the OCR is really stupid IMHO. I am not sure what you mean by "They will keep working until the day they don't, and I'm not looking forward to when that happens." So low rates stop a recession/dpression happening. So raising rates is far more likely to bring forward the day you are not looking forward to ie triggering a global recession. Steven, your assumptions are based on the belief that CB central planning control can overcome the business cycle, which has never been the case in history. Secondly, they are powerless to control long term interest rates, so their short term interest rate manipulations are always eventually overpowered by market forces. As far as low rates stopping a recession from coming, it is arguably the opposite effect. By trying to artificially maintain ultra low interest rates, the seeds are being sown for a much larger and prolonged recession than would otherwise be the case. Jurgen is right in his assumptions and the political influences, as well as banking influences, mean that the foxes are in charge of the hen house. Govts will be bust as soon as interest rates rise, which is inevitable. When govt bonds (which are unlikely to ever be paid pack) are marked to reality, the dominoes will start to fall. Who benefits from low interest rates? Yes, yes, I know housing speculators do, but they just see an opportunity that others create, they have no hand in the creation of the opportunity. Answer - Homo Bureaucraticus Militarius - The Military Bureaucrats. Why did militarism sweep the world in the 1930s? Low interest rates. So no restraint on military spending. The military are a very powerful part of the bureucratic machinery precisely because they are so very necessary. They are still bureaucrats though. The example of Ben Benanke's hero, Takahashi Korekiyo is instructive. He saved Japan from the US caused world depression but paid the price in blood. When he tried to rein in the budget the military had this venerable elder statesman murdered in his bed. Specifically, a junior officer severed his head while he slept. Hjalmar Schacht, the equally brilliant central banker who enabled Germany to rise from the ashes and build excellent housing for the workers and Motorways in the 1930s also enabled re-armament and the Nazi Party, who eventually threw him in a death camp. By good fortune he survived, but has been vilified since, probably unfairly. Now we have centralisation of power and rise of militarism worldwide, from the US to Russia, China, Turkey, Saudi Arabia and India; all caused by low interest rates. The conventional use of a CB setting an interest rate "sensibly" is to control inflation and avoid recessions. So as to who benefits from avoiding a recession? I'd suggest we [mostly] all do. Speculators act I suggest on there being a big enough NET profit from short term speculation to yield a huge profit, ergo low interest rates dont matter unless there is a big profit on the other side. Your/their determination that the causation of militarism is low interest rates is laughable frankly its a symptom not a cause. If I was a devious US president who wanted to invade, let me see now, Iraq, for instance, it would be rather helpful if (a) interest rates just happened to be nice and low so the budget blow out wouldn't matter too much (I would of course lie through my teeth about the cost), and (b) choose a time when there just happened to be lots of unemployed young men about. The whole edifice of government bonds and special privileges for fractional reserve banking grew out of the need for war finance. Previously wars had to financed as cash was spent, by high immediate taxation. Bond finance is how the British defeated Napoleon. Provisions in the Peninsular War were paid for by the British Army under Wellesley, rather than stolen by the French Army. All financed by bonds issued by the Rothschilds to the public. As Wellesley's army moved through Portugal and Spain it got bigger as the locals joined it. Zerohedge - alt-right reporting at its best! The BoJ is actually worse - they're effectively nationalising equity markets.